Opponents: Dr. Ian Hewitt, Associate Professor/University Lecturer, Mathematical Institute, University of Oxford. Dr. Halldór Pálsson, Professor, Faculty of Industrial Engineering, Mechanical Engineering and Computer Science, University of Iceland. Advisor: Dr. Tómas Jóhannesson, Coordinator of Glaciological Research, Icelandic Meteorological Office. Doctoral committee: Dr. Helgi Björnsson, Research Professor Emeritus, Institute of Earth Sciences, University of Iceland. Dr. Gwenn E. Flowers, Professor, Department of Earth Sciences, Simon Fraser University, and Guest Professor of the University of Iceland. Chair of Ceremony: Dr. Magnús Tumi Guðmundsson, Professor of Geophysics and the Head of the Faculty of Earth Sciences. Abstract: The main subject of the PhD thesis is the effects of hydrologically induced forcing on the dynamics of broad and gently sloping ice-cap outlets, under normal conditions during the melt season and extreme conditions in jökulhlaups (glacial outburst floods). The results presented are based on an interpretation of surface motions observed with continuous GPS measurements and discharge time-series from hydrometric stations in glacier rivers. Model simulations of the emptying of a cylindrically symmetric subglacial lake with an ice dynamic model and degree–day modelling of melt on western Vatnajökull, southeast Iceland, and on northern Hofsjökull, central Iceland, are used for further interpretation of the measurements. The measurements are interpreted as indicating: (i) initiation of rapidly rising jökulhlaups with a propagating subglacial pressure wave, (ii) decreased glacier basal friction during jökulhlaups, (iii) subglacial accumulation of water in slowly rising jökulhlaups and (iv) lifting of the glacier caused by subglacial water pressure exceeding overburden in both rapidly and slowly rising jökulhlaups. The latter two observations are inconsistent with assumptions typically made in theoretical and numerical modelling of jökulhlaups. Motion events unrelated to jökulhlaups are also observed. These events are interpret as being induced by hydrological forcing on basal slip. The Icelandic ice cap outlets resemble many of the land-terminating ice sheet outlets in southwest Greenland and might be an analogue for polar glaciers’ wetter and warmer future. Understanding the hydrology of Icelandic ice cap outlets and its interaction with the ice motion is, therefore, important to model the future contribution of glaciers to global sea-level rise. A sound understanding of jökulhlaups is also essential for hazard mitigation as they may endanger people, livestock and infrastructure. The PhD project was hosted at the Icelandic Meteorological Office as part of the Nordic Centre of Excellence SVALI, ‘Stability and Variations of Arctic Land Ice’, funded by the Nordic Top-level Research Initiative (TRI). 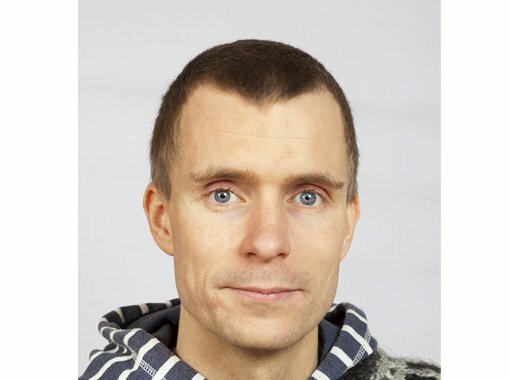 About the Ph.D. student: Bergur Einarsson (born 1981) holds an undergraduate degree in geophysics from University of Iceland from 2004 and a master’s degree in the same subject, from the same university from 2009. Bergur was employed at the Hydrological Service of the National Energy Authority after his undergraduate studies. In 2009 the Hydrological Service was merged with the Icelandic Meteorological Office, where Bergur currently works as glacial hydrologist.